Board index General Project "M"
YOUR own topic about YOUR own Moke. Sell the one with a roof. 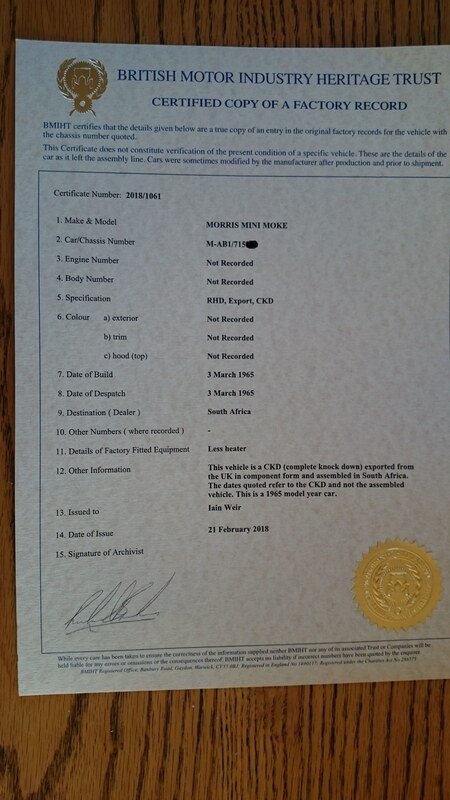 My Heritage certificate arrived, giving a production date of 3rd March 1965 and of course a CKD to South Africa. 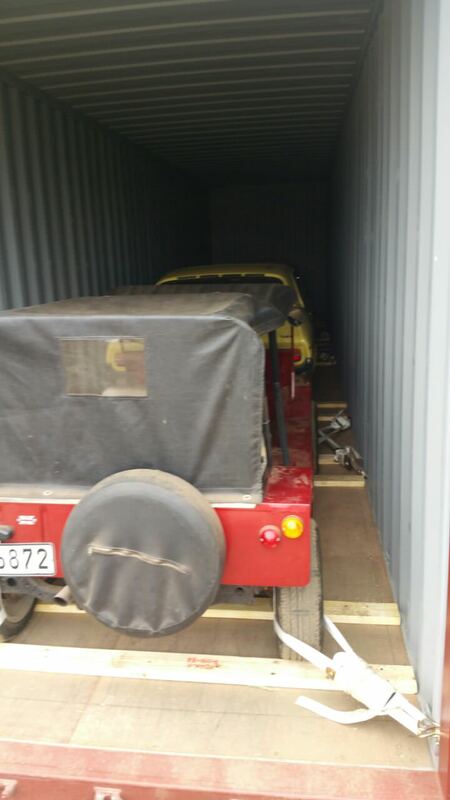 and, its made it to Durban, and into a container. Please keep posting pics of your Moke's restoration. I also am a new moker, fell into the same trap as you, only my moke was in bits in Yorkshire, just looking I was, somehow it found its way down south to my gaff! Its a blue (was) one on a trailer featured in last but ones moking mag. Its a bit of a mongrel, but after the usual funding and hours of welding and panel beating, stripping engines, new pistons, valve seats and etc etc, it should turn out well . 1973 ausy moke 1093 cc. Thanks Mick, another vote cast plans may be forming, but we'll get to that later. Overall its pretty much as expected, few bits to do, mainly taking off the later mini bits someone has put on. I may have had a little drive (private test track of course ) and it goes well. I have some pictures of course, just cant get to them at the moment.